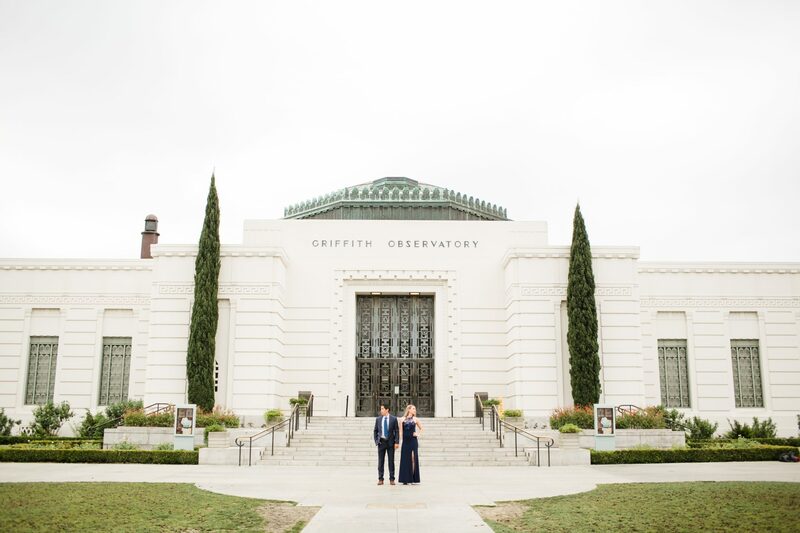 I’m so excited to share this Griffith Observatory engagement session with you. 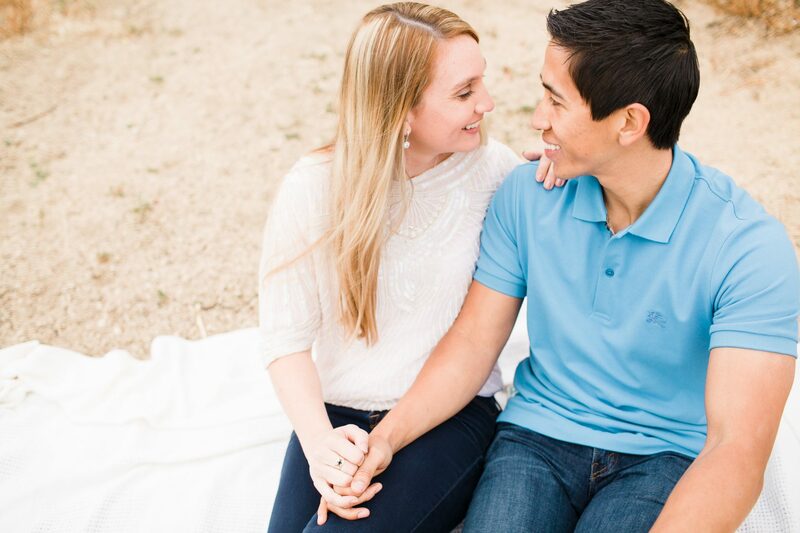 If you’ve been following my blog for a while now, you’ll know that I absolutely love shooting engagement sessions. 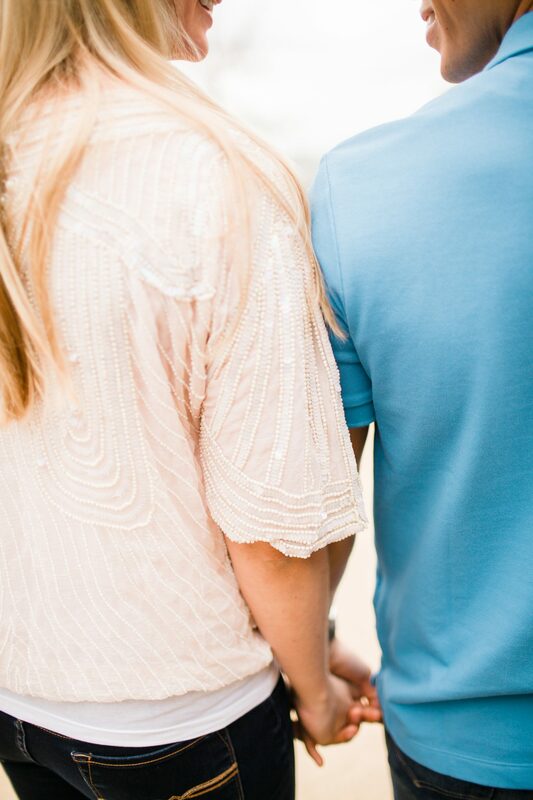 Photographing couples in love is such a passion of mine and it’s definitely my first love as far as documenting images go. 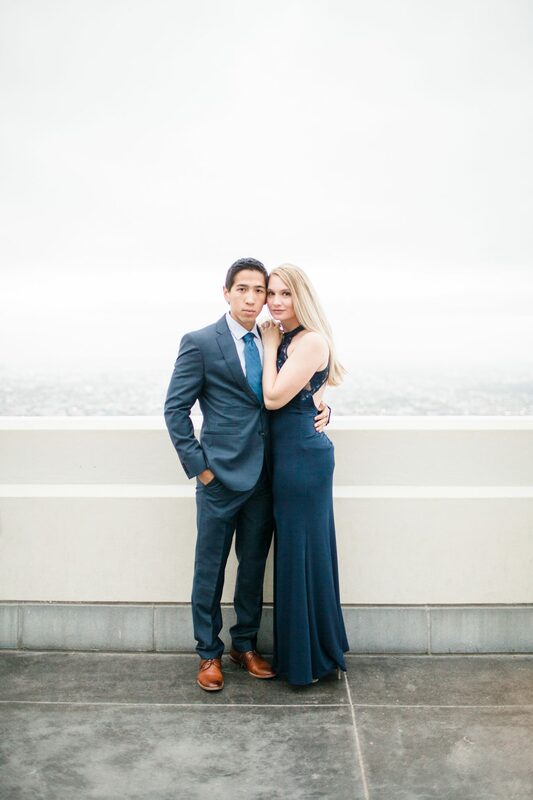 We shot their engagement session at sunrise which meant that we had a 3am wake up call + had to brave the cold. 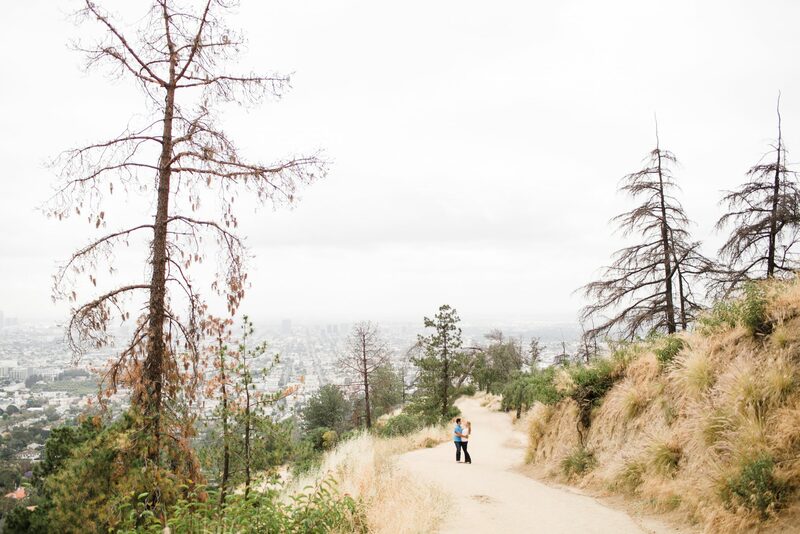 The upside to that – no traffic and less crowds. 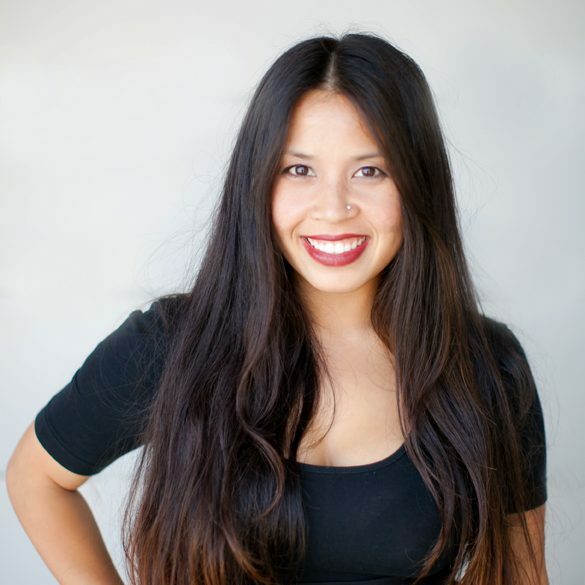 I’m so grateful for clients who go along with all of my crazy ideas. 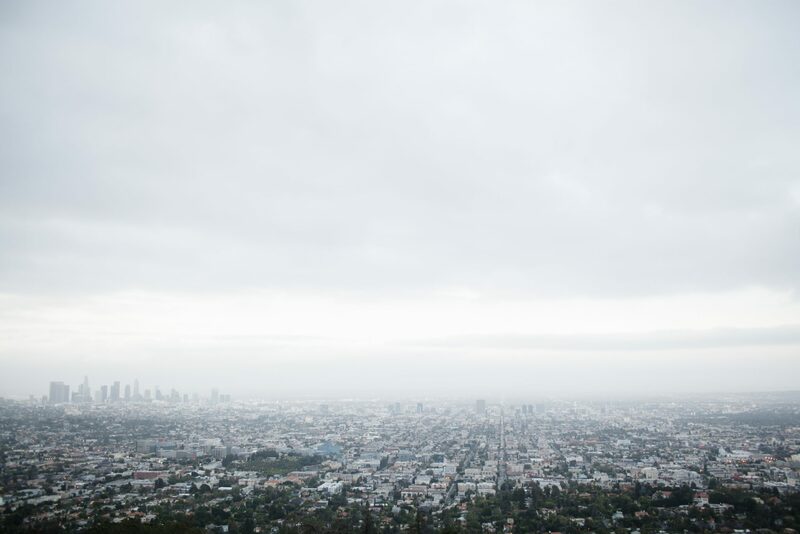 It was a bit gloomy that morning. 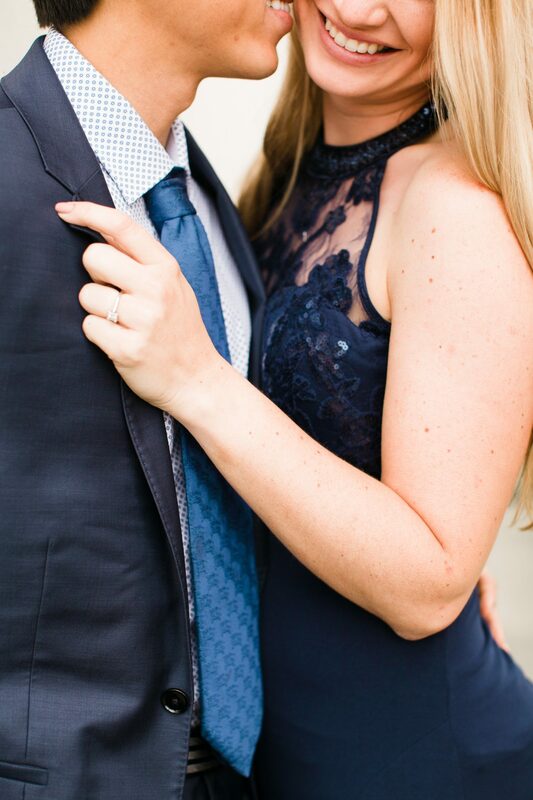 While I was hoping for a bit more sun, their photos still came out super gorgeous. 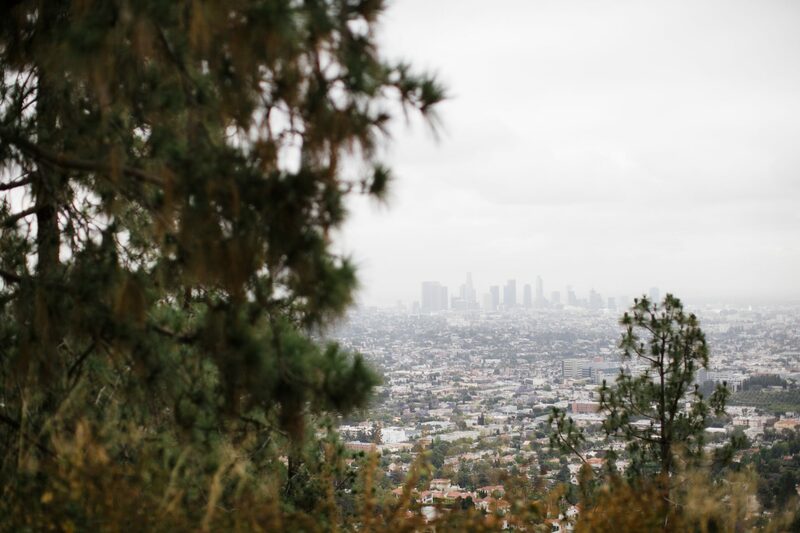 The plus side to shooting on gloomy days is that you can basically shoot from any direction. The clouds diffuse the light! Can we just talk about these two gorgeous people + amazing souls right here and how their chemistry radiates + jumps right out at your screen? I mean, come on!! 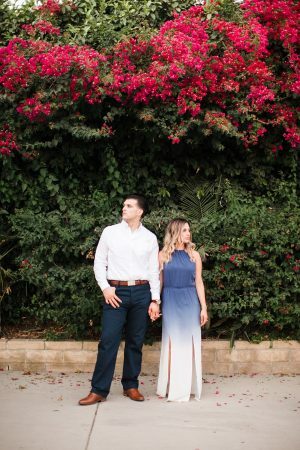 Kasey and Evan actually spent the last year apart. 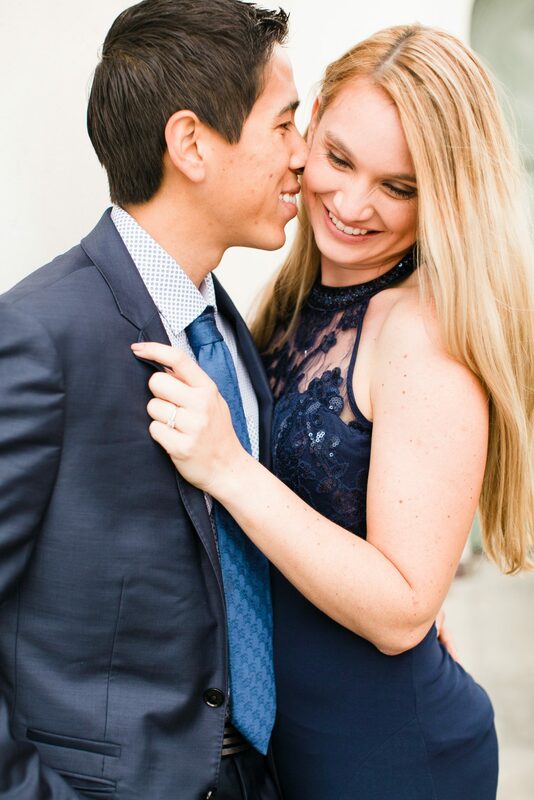 When they booked me last year, they told me that Evan would be getting deployed soon for half the year and then as soon as he got back, Kasey would take off for deployment. 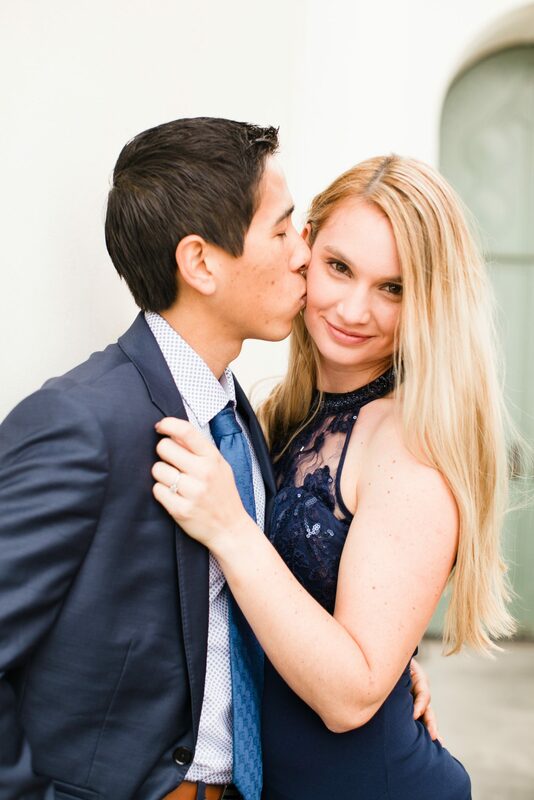 They are finally together again! ♡♡♡ I know…you probably wouldn’t have guessed it right…that these two hotties wear uniform? Seriously, thank you, THANK YOU for your service + sacrifice. Kasey and Evan changed into something more casual for the second set. 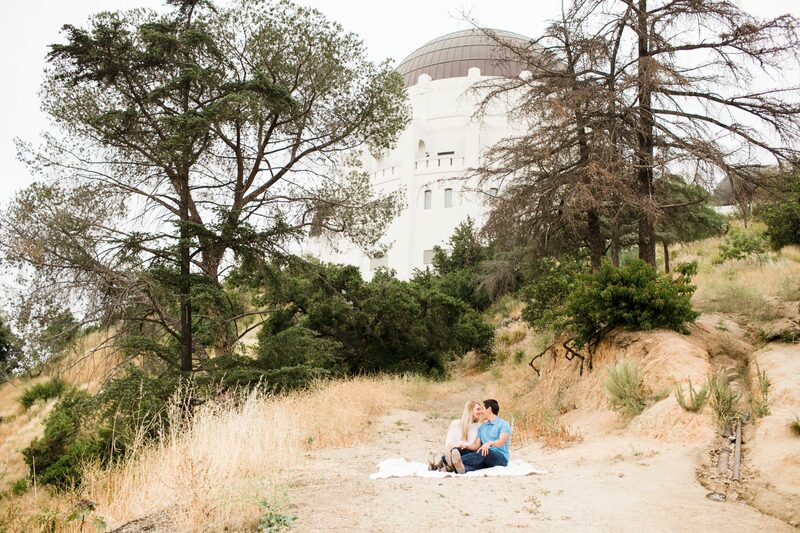 I would recommend doing this as well if you’re considering doing an engagement session. 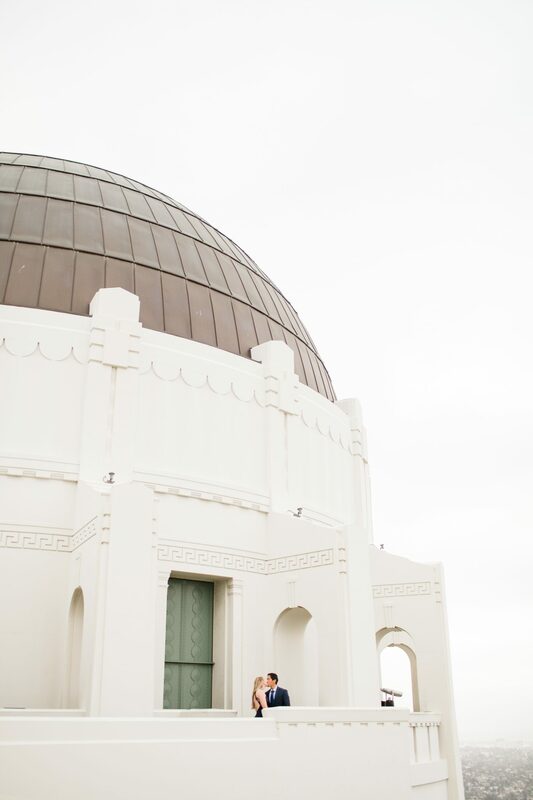 This Griffith Observatory engagement session is one of my favorites. 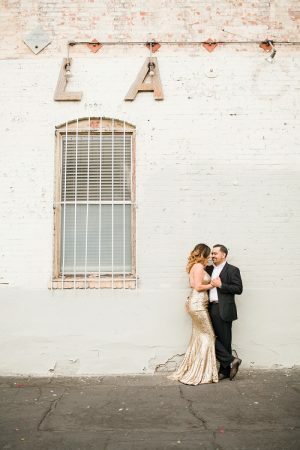 I love how the city makes such a beautiful backdrop for their engagement photos. 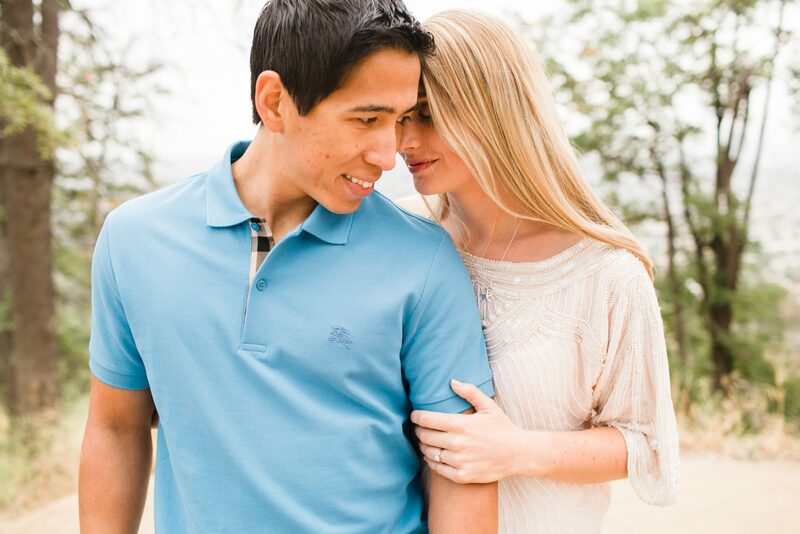 These two lovebirds are getting married later this year at the Mission San Juan Capistrano and I can’t wait! I’ve been wanting to shoot there for some time now. 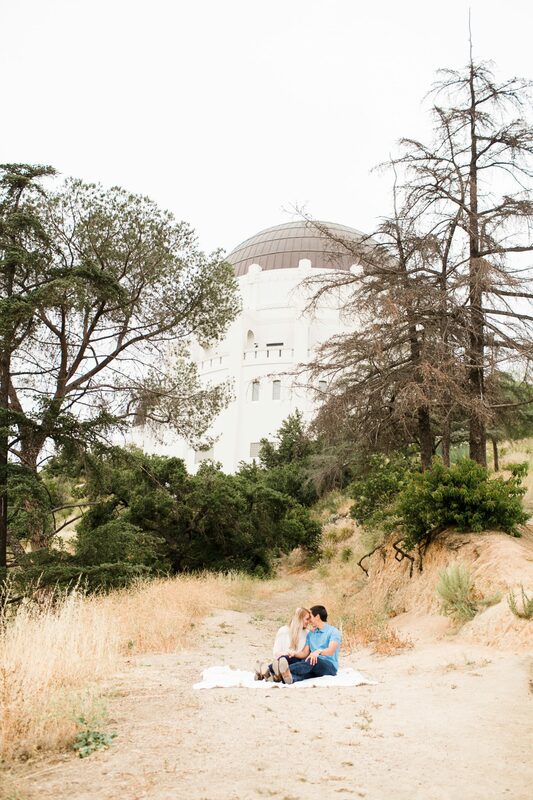 It’s such a beautiful place for portraits too. So stay tuned. In case you missed it, I’m hosting a giveaway on my Instagram page. You can also ready more about the giveaway here. 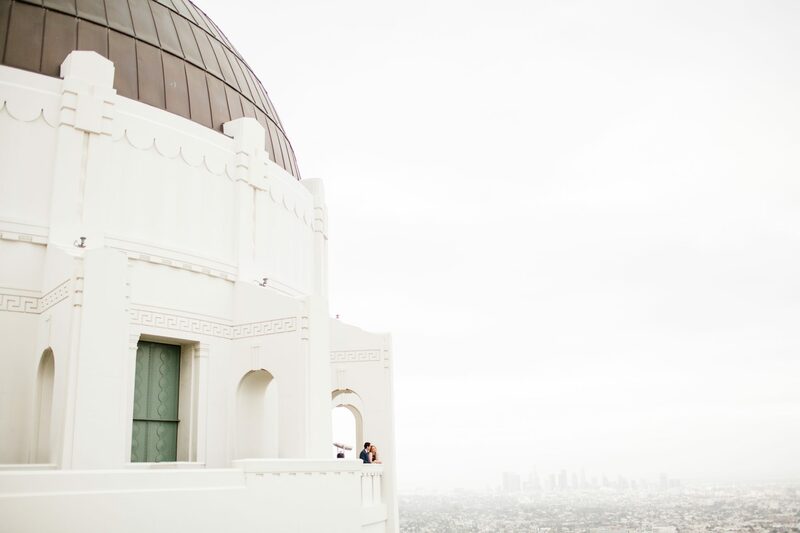 Happy Friday + enjoy the long weekend! If you enjoyed this post please click below and share or comment. 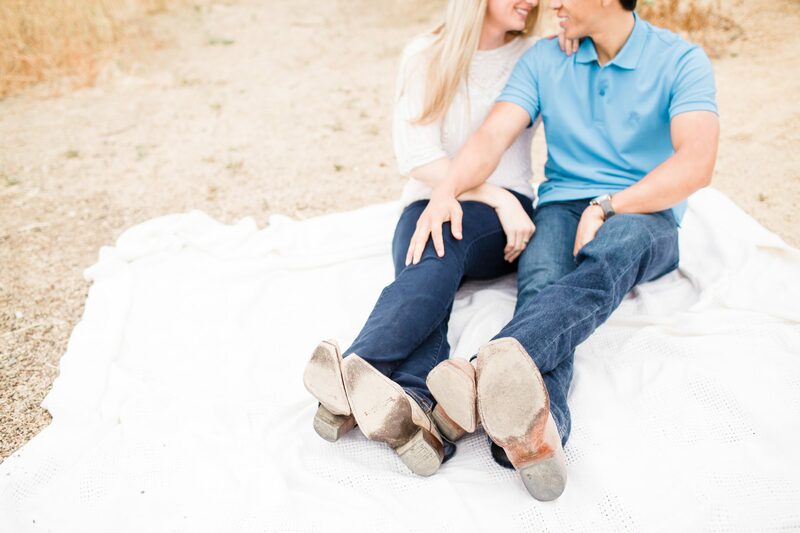 ♥ Interested in booking an engagement session or want to collaborate on a special project? Let’s chat + connect. 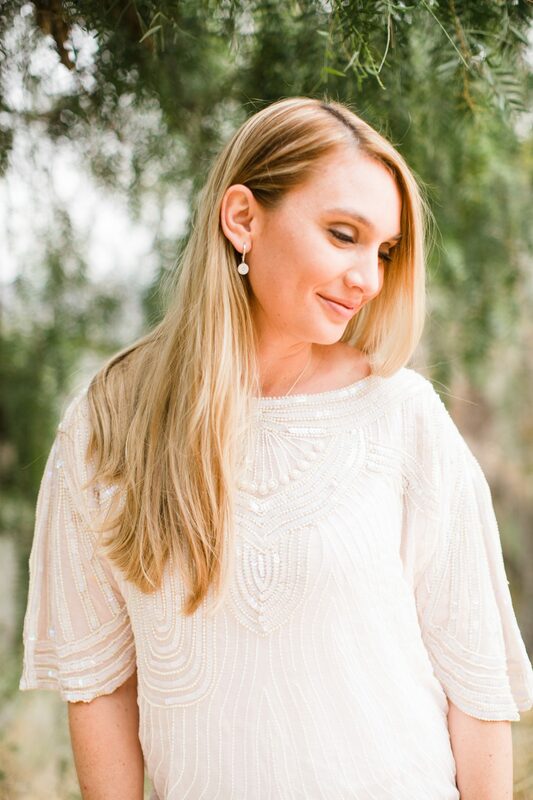 Can’t wait to hear from you! 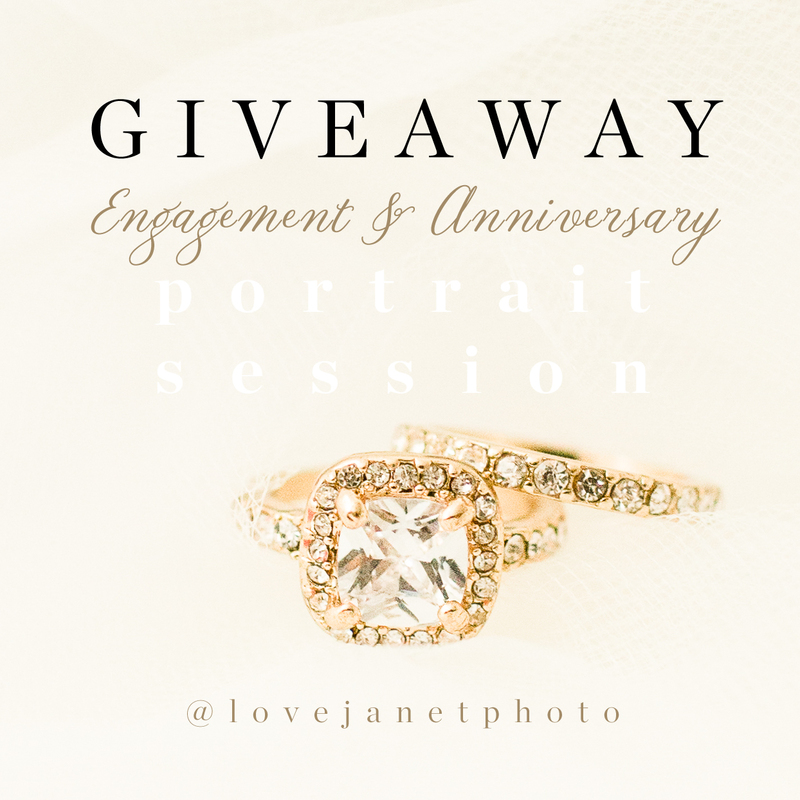 See details below on how to enter the engagement session giveaway as well as the anniversary session giveaway. First you have to have an account on Instagram and follow my account here. Find the above photo on my feed and simply follow the directions in the post. The giveaway is completely FREE for SoCal residents. For Non-SoCal peeps, travel fees will apply. Please inquire for costs. Session must also take place before the year is over. 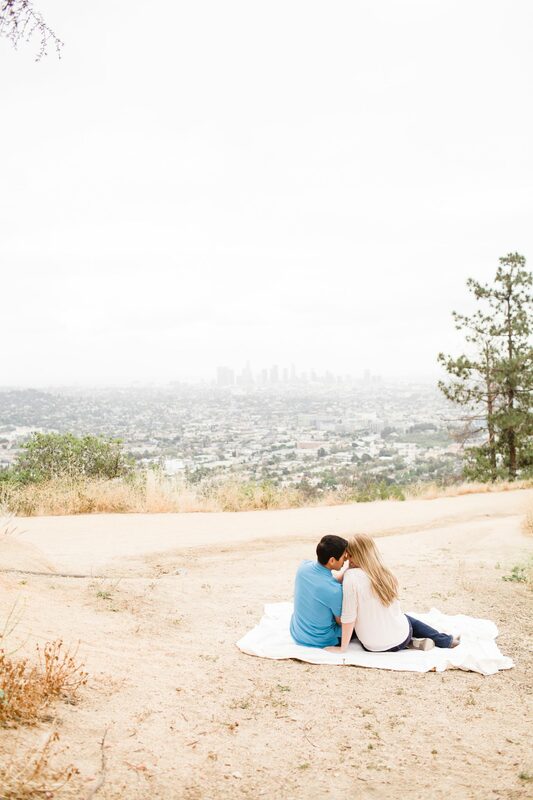 Please note: Engagement session giveaway + anniversary session giveaway is on Instagram only. *For 3 EXTRA ENTRIES – repost this giveaway on your IG page using #ljpgiveaway. Make sure to tag my account so I see the entry + keep your page public until giveaway ends. 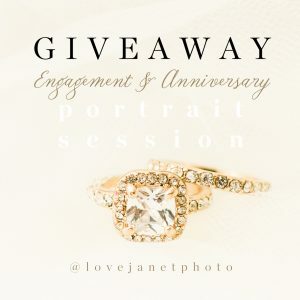 **For 5 EXTRA ENTRIES – subscribe to my newsletter (link in profile) + shoot me an email: janet@lovejanetphoto.com after with your social media handle. Have more questions? Please get in touch or send an email directly: janet@lovejanetphoto.com.